Time has a way of continually moving towards the future, and from the perspective of people living in the United States in 1952, that future seemed very bright indeed. Perhaps, the future seemed so incredibly bright because so many of saw it coming on television. Two out of three home had telephones in 1952, but somehow, the fact that there was a TV set in one out of three homes seemed more significant. 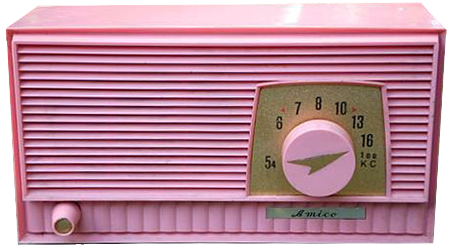 In the last decade, the mass medium of Radio helped to unite us as a Nation to defeat the forces of tyranny. On April 7, for the first time more than 10 million homes had have their TVs tuned to watch the same thing, the 26th episode of the first season of I Love Lucy entitled "The Marriage License". Viewers in 1952 also got to see the first toy advertised on TV, the Mr. Potato Head. One of the first advertising campaigns directly targeting kids launched with TV commercials on April 30. The original concept of Mr. Potato Head was a set of plastic body parts that kids could stick on a real potato to help build enthusiasm for eating vegetables. 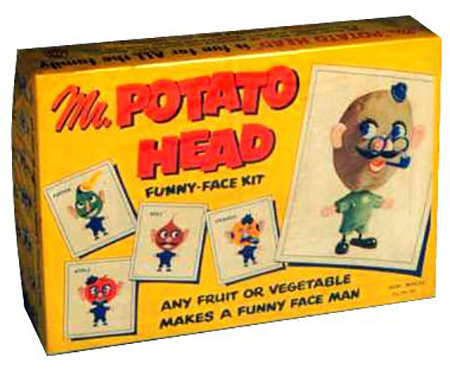 Hasbro did not include a plastic potato with the parts until 1964. Beyond toys and TV, technology made some serious advances in both peace and war throughout 1952. One of the most exciting advances in medicine came in February when an artificial mechanical heart is used for the first time on a human patient. In September, Drs. C. Walton Lillehei and F. John Lewis at the University of Minnesota performed the first successful open-heart surgery to correct a congenital heart defect using hypothermia. Passenger jet service between London and Johannesburg began in May, and a passenger jet flies from London to New York and returned on the same day for the first time in August. 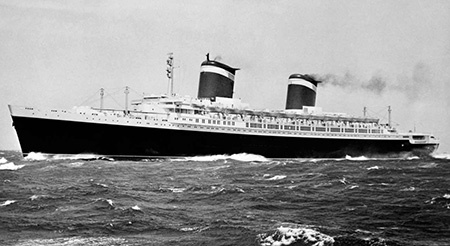 Crossing the pond, the "old fashioned way" remained in style as the SS United States made her maiden voyage, crossing in three days, ten hours, and forty minutes with an average speed of 35.59 knots. The first B-52 Stratofortress took its maiden flight over Boeing Field on April 15 and the keel for the first nuclear-powered submarine, the USS Nautilus, is laid down on June 14. 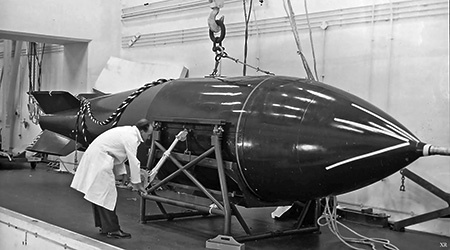 Great Britain announced that they developed an atomic bomb and the device was test detonated in the Montebello Islands off Western Australia during Operation Hurricane. Development of the hydrogen bomb by American scientist was accelerated after the Soviets detonated an atomic device in 1949. On November 1, the first hydrogen bomb was detonated during Operation Ivy at Eniwetok Atoll in the Pacific Proving Grounds with a 10.4 megaton yield, 500 times as powerful as the "Fat Man" bomb dropped on Nagasaki. The war in Korea was an important issue in the 1952 Presidential election, considering that the conflict has been a virtual stalemate since the summer of 1951. The Communist North with their Chinese supporters had a numerical superiority, but they were taking more casualties due to inferior equipment and logistics. At the end of November, President-elect Eisenhower traveled to Korea in answer to a campaign promise to see what could be done to bring the war to an end (once in office, he threatened to use atomic force is an armistice is not reached). On a friendlier note, 1952 was also an Olympic year. The Winter Games were held in Oslo in February, and Germany and Japan made their return to Winter competition, although not without controversy. Anti-German sentiment still ran high in Norway after having been occupied by Nazi forces during the War, but the team was eventually welcomed. No athletes from East Germany participated because there was no unified German team. The Soviet Union was recognized by the IOC and had intended to send an ice hockey team, but failed to join the International Ice Hockey Federation in time. The Summer Games in Helsinki, Finland, would see the Olympic debut of teams from the Soviet Union, the People's Republic of China, Indonesia, Israel, and Thailand. The Games were held from July 19 to August 3 and more Olympic and World Records would be broken than at any Games until the 2008 Summer Games in Beijing. Tensions between East and West remained high, on January 8 there were 8 million refugees within the borders of West Germany. Prime Minister Winston Churchill announces on February 26 that the United Kingdom had the atomic bomb, Britain officially became the third member of the "Atomic Club" on October 3 when a 25 kiloton device detonated in Western Australia during "Operation Hurricane". U.S. scientists conducted "Operation Ivy" at Eniwetok Atoll in the Pacific, detonating "Mike" on November 1, the first hydrogen bomb with a yield of 10.4 megatons. The War in Korea had been at a stalemate since the summer of 1951 despite continued heavy bombing of the North, negotiations for an armistice were underway but little progress was made. 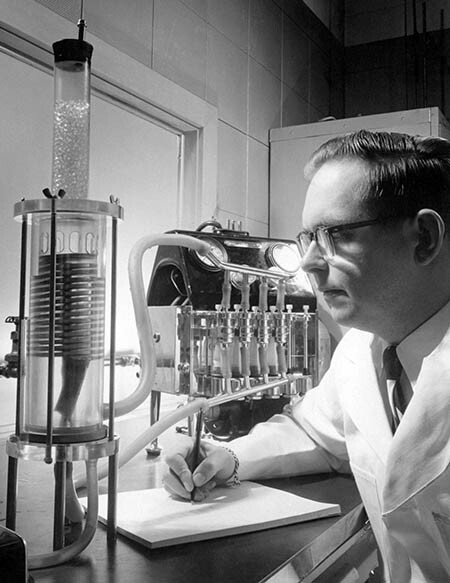 American doctors used an artificial heart on a human patient for the first time on February 6. Collier's Weekly began a series of articles and features on March 22 under the heading "Man Will Conquer Space Soon! ", the series was based on the vision of Dr. Wernher von Braun and his essay "Crossing the Last Frontier" led the feature. 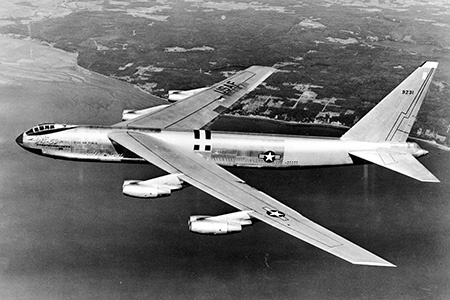 The first flight of the B-52 Stratofortress took place from Boeing Field on April 15. On June 14, the keel for the first nuclear submarine, the USS Nautilus, was laid in Groton, Connecticut. The first African American student was admitted to the University of Tennessee on January 12. Anne Frank's Diary of a Young Girl was translated in English on June 15. According to the American Research Bureau, the I Love Lucy episode airing April 7, titled "The Marriage License", was the first television program to be watched in more than 10,000,000 homes. The Mousetrap by Agatha Christie opens on London's West End on November 25, and had its 25,000th performance in 2012, the "initial run" continues today. George VI of Great Britain died on February 6 after a long illness. Princess Elizabeth, Duchess of Edinburgh, is visiting Kenya with her husband and is declared Elizabeth II of England. Her coronation will be held on June 2, 1953. 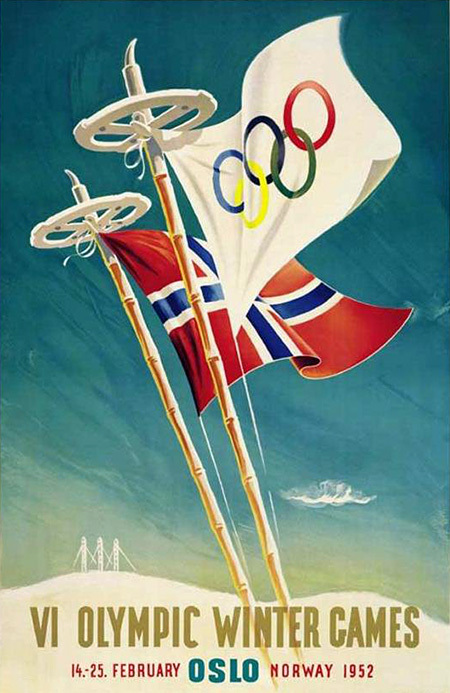 The Winter Olympic Games were held in Oslo, Norway, from February 14-25. The Summer Games in Helsinki, Finland, from July 19 to August 3 was notable for having the highest number of World Records broken at single games until the Beijing Games in 2008. 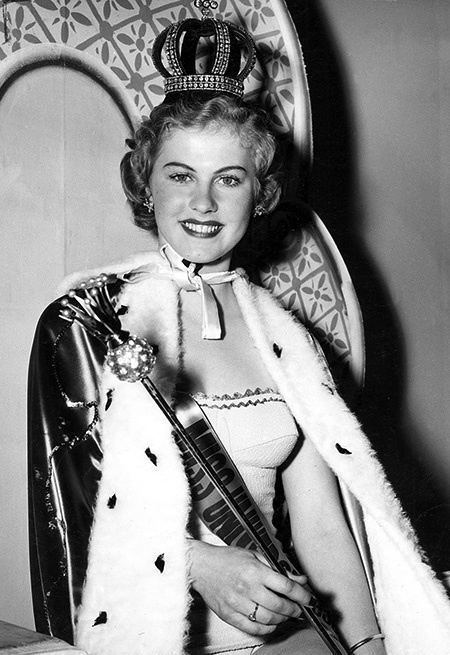 The Games were not Finland's only victory that summer, on June 29, Armi Kuusela of Finland was crowned the first Miss Universe, although she surrendered her crown on May 4, 1953, to marry Filipino businessman Virgilio Hilario whom she met while visiting the Philippines to help crown Miss Philippines 1953. President Harry S. Truman announced on March 29 that he would not seek reelection. On November 4, Dwight D. Eisenhower defeated Adlai Stevenson to become the 34th President of the United States. On November 29, the President-elect fulfilled a campaign promise by traveling to Korea to investigate what could be done to bring the conflict to an end. Harley-Davidson introduces the KR 750 Flat Track Racing Motorcycle which dominated the sport for several years. Bright Star, aka "The Irene Dunne-Fred MacMurray Show" launched in syndication by ZIV. NBC debuts Great Plays in June as an extension of the popular "NBC University" Series. The Big Show, Mr. District Attorney, Big Town, The Green Hornet, Mark Trail, and the radio version of The Guiding Light were off the air. Be the first to comment on "1952"